To mark the new extension to the Macmillan Cancer Information and Support Centre at Wythenshawe Hospital, we commissioned a large original linocut to go on the wall. The artwork, called 'Serenity' was created for us by LFTA artist Carolyn Murphy, one of our clients. Here you can buy cards, showing details of the artwork, or a beautiful digital print (450mm x 320mm on acid-free Conqueror Stonemarque textured paper). All profits on these items go 100% to the Macmillan Information and Support Centre at Manchester University NHS Foundation Trust, Wythenshawe Hospital. This is a square greetings card, 148mm x 148mm in size. You can buy this as a plain card to write in yourself, you can add a standard message to go inside the card or you can 'personalise' it with your own text and images. This card costs £2.50 plus P&P. If you buy this card, the whole profit (i.e. 100% of the profit) goes to the Macmillan Information and Support Centre at Manchester University NHS Foundation Trust, Wythenshawe Hospital. 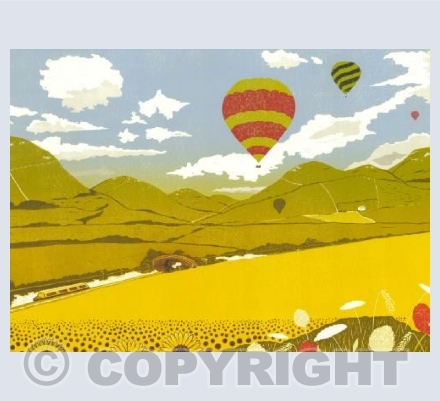 This is a landscape rectangular greetings card, 175mm x 126mm in size. You can buy this as a plain card to write in yourself, you can add a standard message to go inside the card or you can 'personalise' it with your own text and images. This digital print is an open edition, un-mounted and un-framed print measuring 450mm by 320mm. It is presented on a textured heavy bright-white paper. 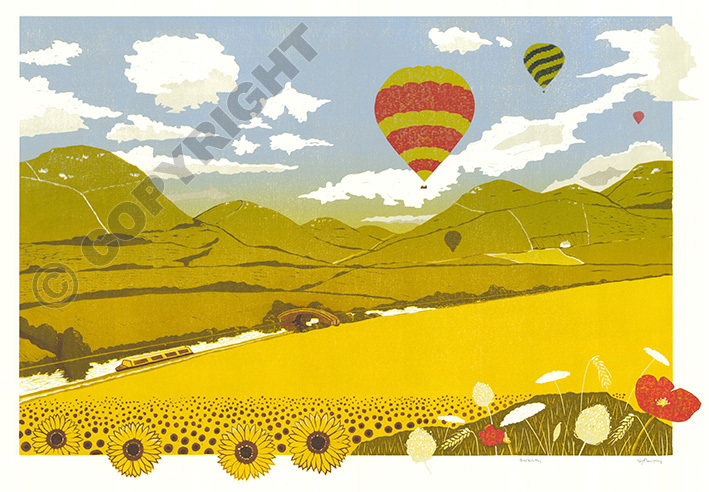 The digital print costs £20.00 including P&P. 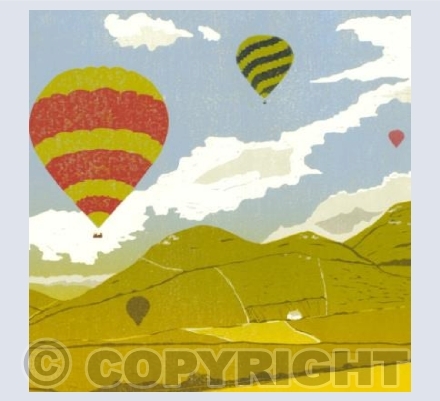 If you buy this digital print, the whole profit (i.e. 100% of the profit) goes to the Macmillan Information and Support Centre at Manchester University NHS Foundation Trust, Wythenshawe Hospital. Buy 'Serenity' digital prints now?